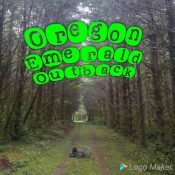 Remember the Oregon Outback? Back in June we shared a guest article and photo essay from Portland resident Gabriel Amadeus that chronicled his amazing, 360+ mile bike adventure through the center of Oregon. Now that epic ride has turned into a (slightly) more formal event put together by adventure cycling promoter Donnie Kolb. 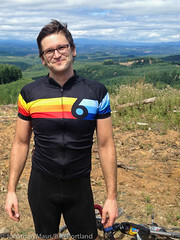 Kolb is the man behind VeloDirt, a website he created to share his backroad rides with like-minded adventure seekers. 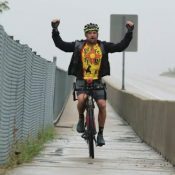 Kolb, an attorney by day, eventually started urging his friends and followers to join him and in the past few years VeloDirt rides have become something of an underground phenomenon. Similar to the De Ronde PDX, Kolb’s rides are unsanctioned and un-permitted, and word about them spreads via social media. Now his Dalles Mtn 60 and Oregon Stampede rides have a large and loyal following. Adventure and beauty await those who sign up. For years we’ve stayed up late poring over maps trying to find a perfect dirt race route across Oregon. This past summer we had the opportunity to give the most likely route a look-see and it turned out even better than we imagined. We are extremely excited to announce a new self-supported, Tour Divide-style race across Oregon along the all-new Oregon Outback route. For off-road adventure riders, the announcement of this ride is very big news and it’s already creating a lot of buzz. 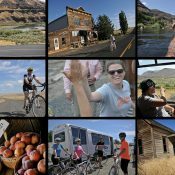 This is sure to be a memorable event and if all goes according to plan BikePortland will be taking part and bringing back photos and stories from the (dirt) road. Like all of VeloDirt’s rides, the Oregon Outback is 100% self-supported. That means all participants are on their own to bring food, supplies, water, and take care of mechanical issues. Kolb and his cohorts are providing some logistical help for Oregon Outback participants by blocking out Amtrak reservations to Klamath Falls (where the route starts) and organizing a shuttle from the end of the ride (the Deschutes River State Recreational Area about 20 miles west of The Dalles) back to Portland. 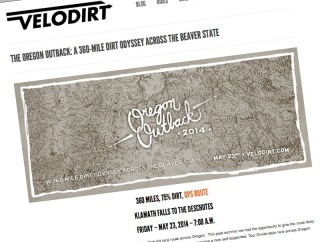 The Oregon Outback is set for May 23rd. Learn more at VeloDirt.com. Hey Jonathan, I think you mean Oregon Stampede, not Sisters Stampede. yep. my mistake. thanks. fixed it. This ride looks awesome. True Oregon spirit! I’m in for sure. Can’t wait. Would love to do it…..my wife’s birthday is that same weekend. As the saying goes “happy wife, happy life”. I’m looking forward to this event. Donnie does a nice job and his rides attract lots of fun folks. This will be one for the ages! But who will drive ahead and set up my tent? This bike ride sounds hard. I quit now. Looks like a great route. But in fairness, it only BARELY skirts the fringes of the real Oregon Outback. I don’t think this route even spends that much of its time in the Great Basin. There are many possible touring routes that get deep into the real Outback and would be far more worthy of the label. I’ll have to ride it someday, but I’ll be riding it solo or in a small group of more relaxed cyclists, not with the VeloDirt crowd. I loved DM60 route, but if that ride’s pace was typical for VD (and from everything I’ve heard, it is) I’ll look elsewhere for riding partners. OK, OK, maybe the pace won’t be so bad. 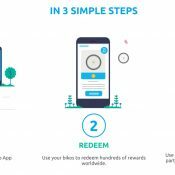 After reading the linked page in full, it looks like they’re expecting that people will be riding at a variety of paces. Count me among the people that would be arriving at the Cowboy Dinner Tree (115 miles in) on the second day of riding a fully loaded mountain bike. And if it looked like there would be other people riding at a similar pace, it might be a lot of fun after all.